Seafood is chock-full of vitamins, minerals, and important Omega-3 fatty acids. However, the nutritional value of the seafood on your plate could be slashed if you accidentally bring home seafood that wasn’t stored or handled properly. In place of a full stomach, you could be left with a case of food poisoning. But foodborne illness can be avoided by selecting fish that has all the markers of being fresh. For the sake of taste as well as safety, fresh fish should be kept at proper temperatures throughout its journey from ocean to table. 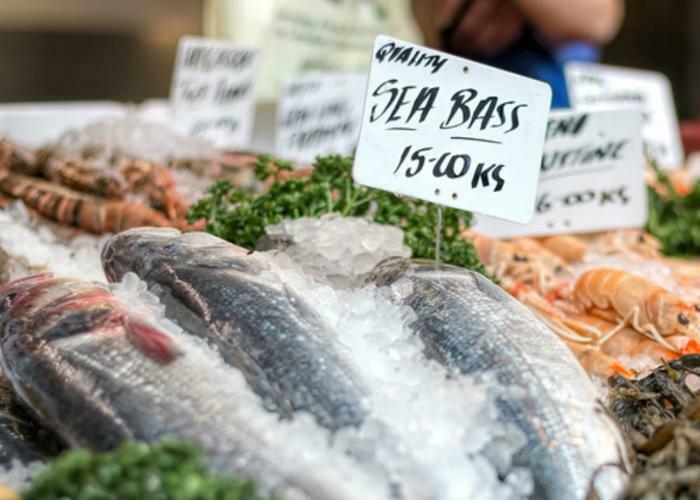 Here’s what the FDA says to look for when buying fresh fish or shellfish. The right smell. Fish shouldn’t give off a fishy, sour, or ammonia-like odor. It should smell fresh and mild. Clear eyes. The fish’s eyes should be clear and slightly bulging. Firm and shiny. If you’re buying whole fish or fillets, look for firm, shiny flesh with bright red gills. According to the FDA, the flesh should spring back when pressed. No discoloration. Look at the color and edges of fish fillets. Avoid buying fish with discoloration or darkening around the edges. When buying shellfish, there are a number of qualities that indicate freshness. Begin by looking for tags and labels on live shellfish and on containers of shucked shellfish. Make sure tags include a certification number for the processor. This will indicate that your shellfish were harvested and processed safely by FDA approved standards. Next, inspect the shells themselves. Shells shouldn’t be cracked or broken. If you’re buying live clams, oysters, or mussels, make sure the shells close up when tapped. Live crabs and lobsters should also be checked for signs of movement to verify that they are fresh.